The Amador Water Agency (AWA) Tanner Water Treatment Plant (WTP) In-Conduit Hydroelectric Project (Tanner In-Conduit Hydroelectric Project) is a recently-commissioned renewable energy site that converts the excess pressure in AWA’s gravity-fed water transmission system into clean electricity used to offset the onsite energy demands. By capturing this embedded wasted energy, this Project has been able to turn the Tanner WTP and AWA administrative buildings net-energy neutral merely by using pre-existing infrastructure. 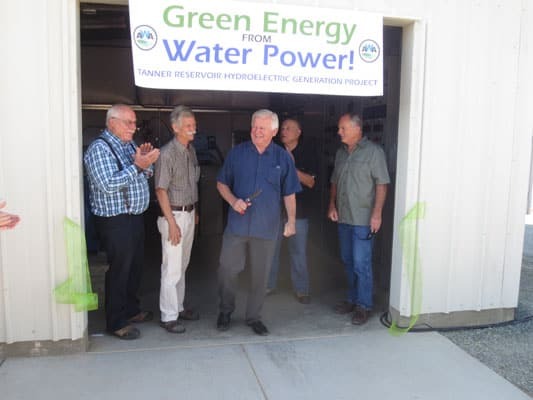 AWA was formed in 1959 and serves nearly 10,000 customers with drinking water in Sutter Creek and the surrounding communities of Amador County, California. The Amador Transmission Pipeline was completed in 2008 and replaced an aged ditch and flume system. The Amador Transmission Pipeline is 8.4 miles in length and transports raw water from Lake Tabeaud to the pressure reducing station near the Tanner Water Treatment Plan (WTP). The pressure reducing station (PRS) feeds both the WTP and a small reservoir that stores water before traveling to the Ione Reservoir and Ione WTP at a location further downstream. This PRS cuts the excess pressure generated by the falling water in order to not overwhelm the WTP and to avoid blasting the Tanner reservoir with a jet stream of water, but all of this embedded energy is wasted to noise and heat at the pressure reducing valves. 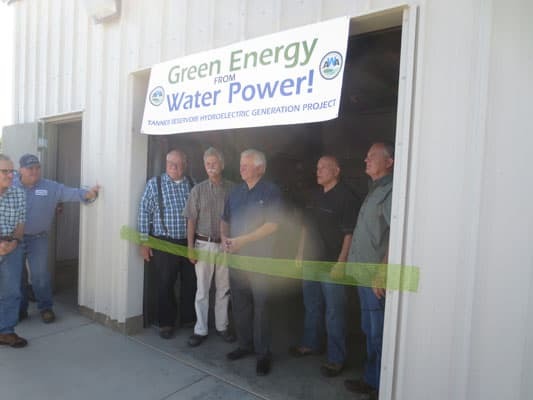 The Tanner In-Conduit Hydroelectric Project captures this wasted energy and converts it to clean electricity through the use of a small hydroelectric turbine operating in bypass to the existing PRS. 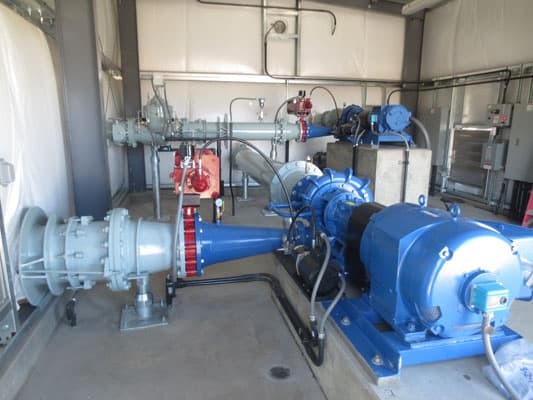 Project employs two pumps-as-turbines for a total of 177 kW of generation, in parallel to existing pressure-reducing infrastructure at the Tanner WTP, using the energy generated to offset the onsite energy load at the Tanner WTP and AWA administrative headquarters through a net-energy metering aggregation arrangement. 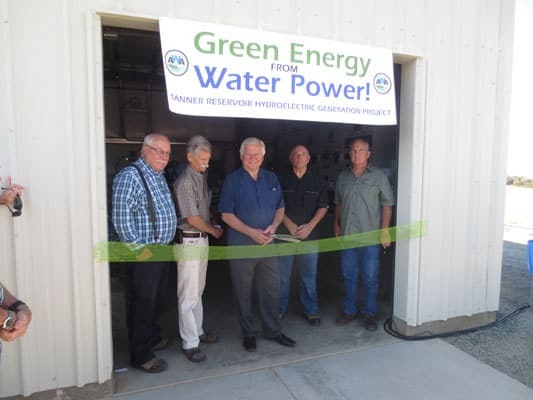 First, this project is the first net-energy metering aggregation hydroelectric project in California’s history. California has a long history of hydropower from the first hydroelectric plan commissioned in 1887 in San Bernardino, CA to Lester Allen Pelton’s invention of the eponymous hydroelectric wheel in 1878 to the era of large hydroelectric plants in the 20th Century Lake Shasta and Lake Oroville, to the qualifying facilities revolution in the 1980s that witnessed the growth of small hydroelectric sites. This project marks a new era for the hydroelectric generation in the California Sierras, where small, distributed, in-conduit hydropower captures the remaining wasted energy trapped within water conduits without the need of a new dam or diversion, and uses this energy to offset the electric demands of drinking water treatment infrastructure required to protect human health. 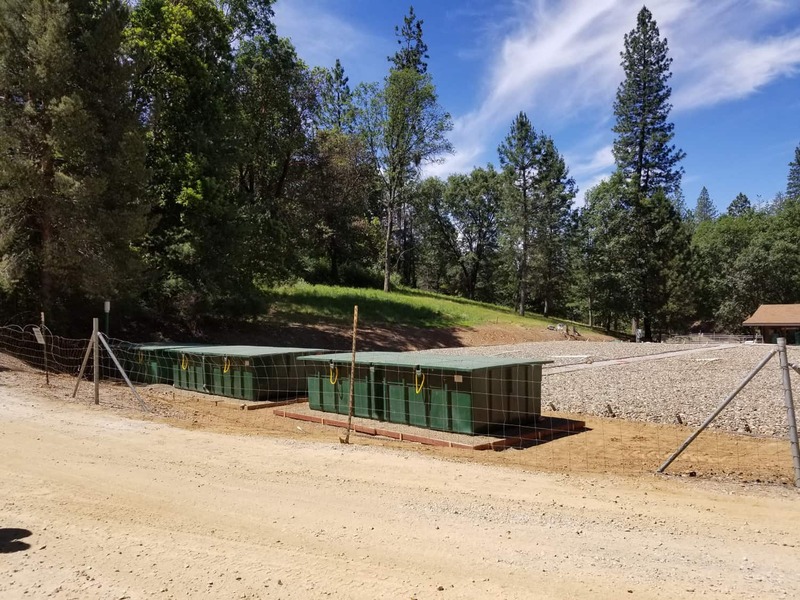 By aggregating the onsite load of both the Tanner WTP and the AWA administrative building – located on a contiguous and adjacent lot – this Project was able to convert more of the wasted energy trapped in the Amador Transmission Pipeline into distributed, onsite, renewable electricity generation. Second, this site employs an innovative programming logic and controls to allow for the seamless, automated integration of the renewable energy generation with the existing complex water operations. 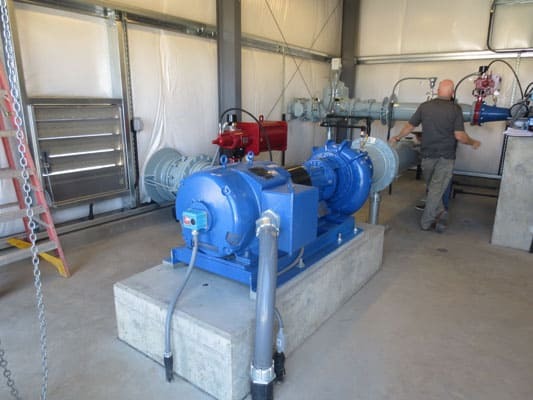 The Tanner In-Conduit Hydroelectric Project includes not just the turbine and generator, but also flow control and pressure regulating valves to regulate the plant operation while maintaining the downstream pressure required for the Tanner WTP operations. Furthermore, the Project was designed to operate in bypass to allow continuous flow into the Tanner WTP system during a grid failure and while the Hydroelectric Station is off-line for repairs or maintenance. 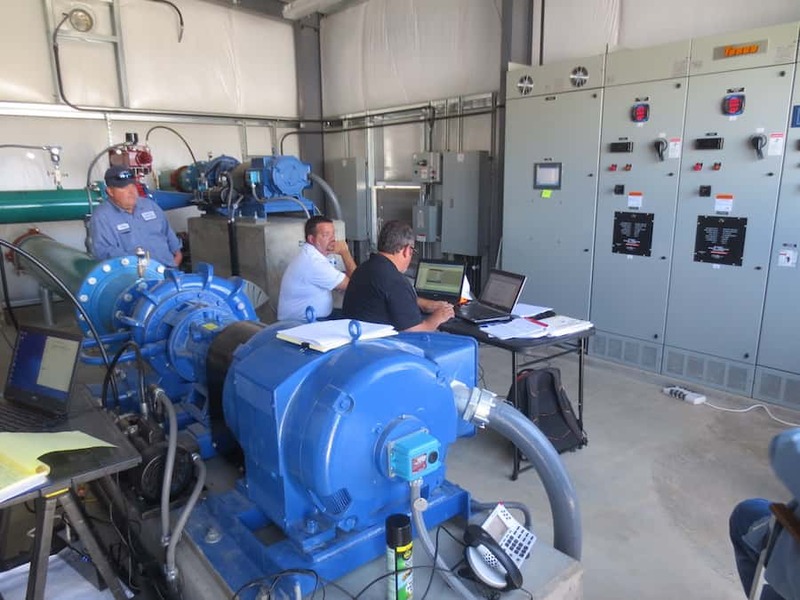 The Project relies on a programmable control system to augment mechanical operations for regulating flows to the hydroelectric turbines, the Tanner WTP, and the Tanner Reservoir. 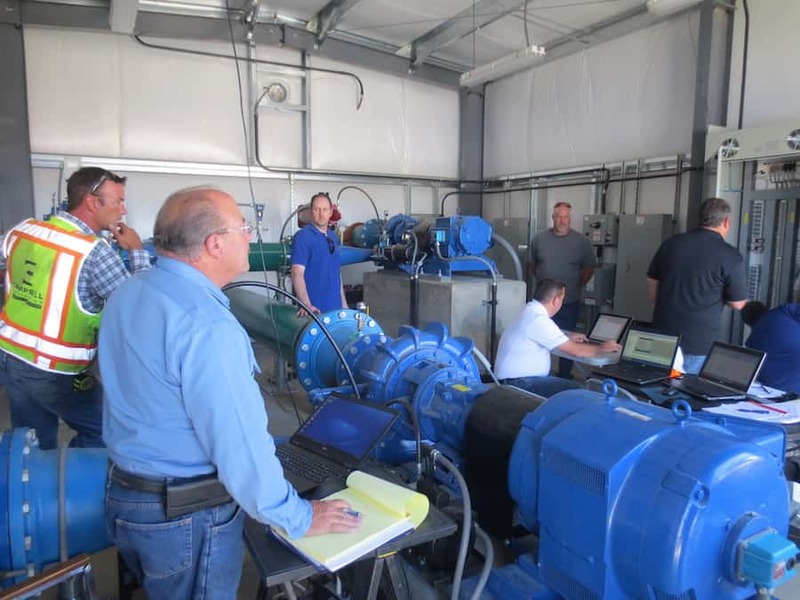 This site uses commercially-available, off-the-shelf technology, but in a unique configuration and with an innovative control strategy to blend seamlessly with the existing operations of the Tanner WTP and the remainder of the AWA system. First, the Project provides electricity grid resilience. The Amador County region is susceptible to forest fires, floods, and seismic activity which can all threaten local electricity transmission and distribution lines that transport electricity from large generation facilities into the region. By having a smaller, distributed, and onsite source of electricity, AWA is increasing the reliability and recoverability of its water and power systems for the benefit of the local community. Second, the Project provides immediate economic benefits to the local general contractor, Campbell Construction of Sutter Creek, the Project has strong financials features with a 30-year NPV $1.68 million and more importantly, as a debt-financed asset, this Project will produce enough revenue to offset the operating costs and the debt service of the project; in other words, the Project will be cash-flow positive from the first year of operation, providing immediate financial benefit to AWA and their ratepayers, even during a drought. Third, the Project provides environmental and health and air quality benefits. The Project is expected to generate 580 MWh of clean, distributed, renewable energy annually. Given that this power is carbon free it is expected to reduce greenhouse gas emissions by 408 metric tons of CO2 equivalent annually. This has both immediate consequences to the air quality in the region in addition to long-term benefits to the climate more broadly. During the construction and commissioning process there were a number of challenges AWA, the engineering and design firm, and the general contractor faced together. 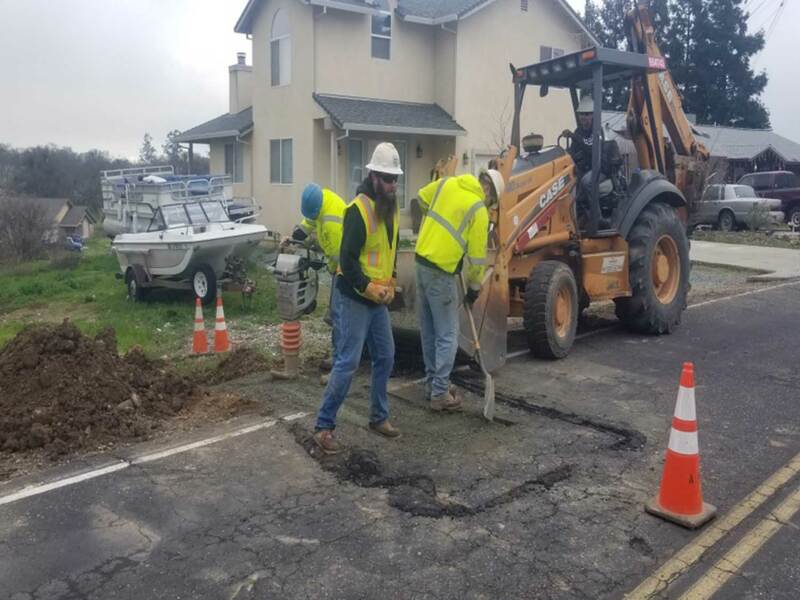 During the construction phase the general contractor, Campbell Construction, uncovered some old subsurface piping that was not included in the site as-builts. 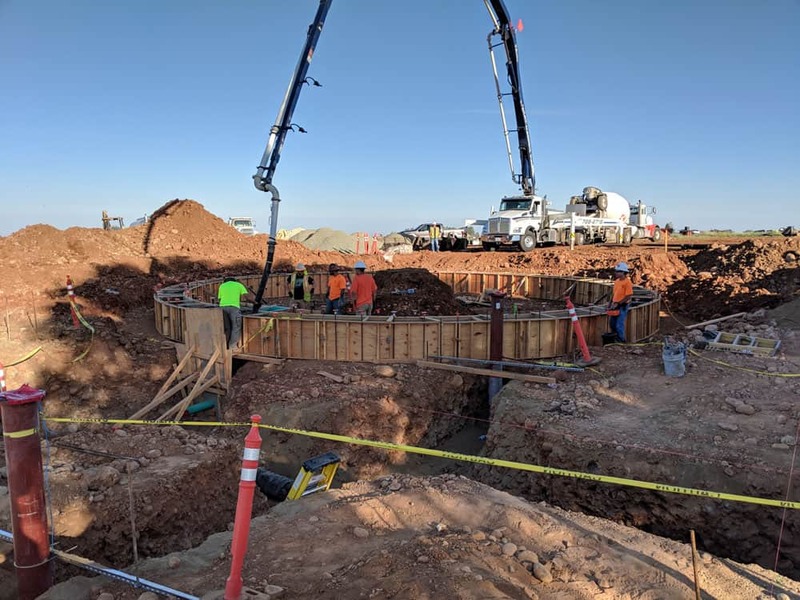 The general contractor working with AWA developed a solution, rerouting the penstock piping through a different inlet to avoid needing to uncover and dispose of the aged, abandoned piping. During the start-up and commissioning process, AWA, the design engineer, NLine Energy Inc., turbine manufacturer Canyon Hydro, control panel manufacturer, Tesco, process control integrator, STS Automation, and the electric utility Pacific Gas & Electric, worked closely to implement and troubleshoot a complex, automated control logic designed to cover all operating regimes in the Tanner WTP, including flush and backwash cycles and maintenance shut-downs across different flow regimes. Using a collaborative, solutions-oriented approach AWA’s team was able to identify, troubleshoot, and correct the challenges associated with the control logic and automation. Especially challenging was the summer time season in which the commissioning took place. High water demands put stress on the WTP and leave no room for error. Implementing the hydroelectric project in the middle of the high demand season took thoughtful consideration to not jeopardize water service. The team employed a careful step-wise process of implementing the control logic in order to prevent service interruptions.